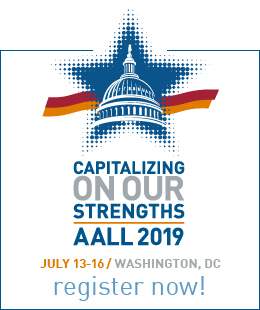 AALL advances the profession of law librarianship and supports the professional growth of its members. Lifelong learning and intellectual growth. Equitable and permanent public access to legal information. Continuous improvement in access to justice. The essential role of law librarians within their organizations and in a democratic society. AALL and its members will be the recognized authority in all aspects of legal information. Goal: To be the profession’s hub of information, the authority and creator, conduit and co-collaborator of industry information. Liberate resources from silos and make them available to all members. Objective: Create an innovation incubator, to facilitate innovation within the Association and the profession, resulting in the creation of compelling ideas and products. Objective: Create a knowledge management system which involves members and key stakeholders in creating, capturing, sharing and using knowledge. Success measures: Facilitates decision-making capabilities, measured by time for board and staff to make decisions; builds our learning capacity as measured by ability to streamline operations and processes for members, leaders and staff; and stimulates cultural change and innovation as measured by increase in innovative programs and services for members, as well as wins on advocacy front. Objective: Improve how member knowledge is brought into the content creation process. Goal: Provide a platform and opportunities for meaningful engagement between and among members and key stakeholders throughout their careers. Objective: Conduct a comprehensive evaluation of the community to increase member communication and eliminate information silos. Objective: Evaluate the current membership model as it relates to member involvement and community to deepen engagement and grow the membership. Objective: Build strong relationships with affiliated entities, stakeholders and related professional associations. Success measures: Strong viable relationships with other groups that have expanded our capabilities, aided in advocacy, and extended the brand image for the profession and association. Goal: AALL and the profession are recognized experts in the field of legal information within the legal community. 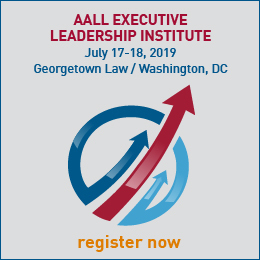 Objective: Develop the appropriate public relations infrastructure to reinforce AALL as the Association of thought leaders in legal information. Success measures: Identified members with subject expertise to leverage AALL as the resource for the media, legal community, and public regarding legal information, and the successful placement of articles, programs, and curated content within the legal community’s news and information networks.